Child custody laws vary from one state to another. Understanding the laws of your state can be tremendously useful when you are attempting to figure out what will happen to your children as a result of divorce. It is not a good idea to make assumptions regarding child custody laws without first checking to find out what the laws actually are. For example, while many people assume that children will always be placed into the custody of the mother regardless of financial or other considerations, there are many states that actually proclaim a complete disregard for the gender of the parents when deciding custody in a contested situation. "Custody" can also mean varying things in different states. Custody does not always refer to where the children physically reside, but may also refer to the decisions made regarding the children's care. For example, a joint custody arrangement may not involve the children spending some time with one parent and the rest of the time with the other, but may instead refer to the children living with one parent on a full time basis, yet both parents jointly making decisions regarding care. Because of the varying state laws regarding child custody, and the varying terminology used by each state, it is important to research the laws specific to your state. Further complications may arise for military divorces where the couple live in a state in which they are not residents, or when one (or both) partners are overseas when the divorce is filed or frequently deployed. In these instances, research not only the state laws, but the laws regarding custody of children of active duty military personnel. Another instance that involves special laws regarding child custody in some states include children belonging to a tribe covered by the Indian Child Welfare Act. According to state law in many states, a divorce cannot be granted until either the parents have come to an agreement regarding the custody and care of the children, or until the court has ordered a specific custody situation. Some states specifically place in their laws the intent to ensure that both parents have an active role in their children's lives despite the divorce. A great deal of time and effort may be saved if a divorcing couple can come to an agreement regarding the custody of the children. If the couple figures out custody on their own, and the court agrees with the couple's arrangement, there may be no reason to delve into some of the more specific laws pertaining to child custody. The law almost always allows for revisions to the divorcing couple's custody agreement as needed. Revisions will take less time to accomplish when the parents can come to an agreement uncontested. 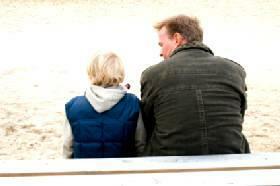 Child custody does not decide the amount or frequency of monetary child support, if any. The amount of child support awarded, and under what stipulations the child support is awarded, is a separate matter and should be researched on a state-specific basis. Most states include child support information within the wording of their child custody laws, but usually only in an attempt to convey that the continued financial support of the child is of great importance. The states want to ensure that children are not financially abandoned by a parent as a result of the divorce, but the actual ordering of child support is a different matter. Keep in mind that there are additional legal considerations in specific situations, such as when parental neglect can be proven or when one parent is at risk of fleeing the state with the child. Special laws regarding child custody may also pertain in some states when the child is adopted. If you consult a divorce attorney, he or she can be a great resource for information regarding the state law of child custody. You can also view the actual laws online for most states by visiting the State Legislature website and searching for divorce laws.